Pergamano Coasters set of 4. 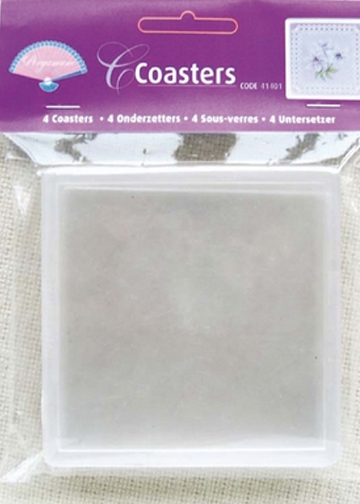 A pack of 4 acrylic coasters 4in. (10cm) square overall. 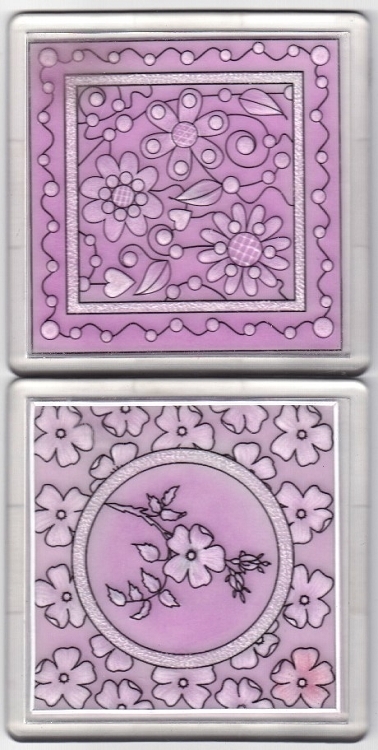 Decorate these coasters with your own design or designs from the Pergamano pattern booklet M103 Flower Coasters . Simply open the coaster, place your design in the frame and snap the back on. The Pergamano pattern booklet M103 Flower Coasters (item #82013) is specially designed for the Pergamano Coasters.